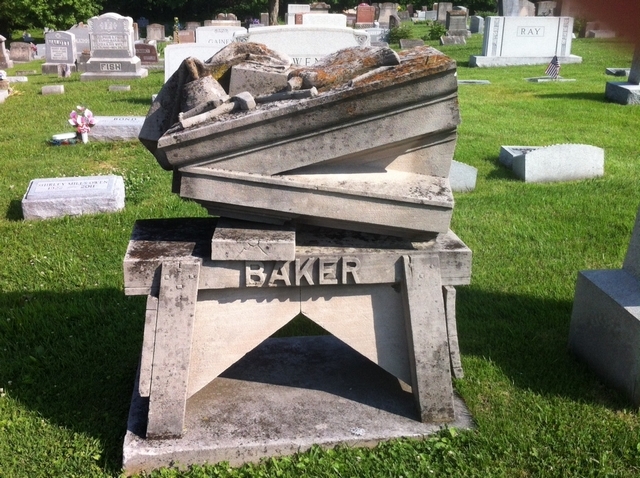 This monument is a replica of stone carver Lewis Baker's wooden workbench as it appeared the day he died. Marion Taylor, Winston Hanner, and fellow stonecutters recreated the workbench featuring his carving tools, apron, broken broom, bent nails, and stone slabs. Baker was working on a building cornice at the time.